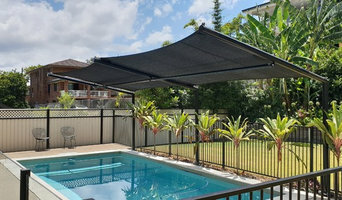 Modiform are a boutique construction firm specialising in shade sails, tension membranes and custom built outdoor structures. Our team of innovative designers and expert project managers work together to successfully deliver a wide range of architectural shade solutions. We take a balanced approach to our design that combines aesthetics and functionality to find the perfect shade solution. Renowned for innovative design solutions and the use of cutting edge technologies in "3D MAPPING"and "3D BIM", we deliver unparalleled customer experience that is hard to come by in this industry. Along with specialised design capabilities, MODIFORM have a long history and respect for the importance of structural stability, which is why all of Modiform's designs, sails, fixing points and fabricated steel work is approved by certified engineers. MODIFORM prides itself on completing every project to a quantifiable standard. Unlike most in our industry, we have a project services team who work tirelessly with our suppliers, fabricators and customers to ensure every project is efficiently managed from design to delivery. We want to take the hassle out of your next project; partner with us to help make your vision a reality. When you partner with KC’s you get more than just an installer, you get access to a one stop shop, an experienced team with over 30 years experience in the industry. Including designers, qualified builders and carpenters, landscapers, electricians and concreters, our diverse team can design, manage, install and deliver your entire project from start to finish. This unique mix allows us to find and deliver the right solution to fit your needs, and make sure you get the best price overall for it. We are proud to be an Australian, family owned and operated company, this pride extends to the quality of material we invest in for your project. All of the products we install are purchased from local manufacturers and suppliers using quality material with reputable warranties. With confidence, belief in our workmanship and the quality of our material, we offer all customers a 15 year product warranty and 7 year warranty on our labour. Trust us to create a stunning and innovative solution for you, at an affordable price. Contact us now; one of our friendly team members talk through your requirements. 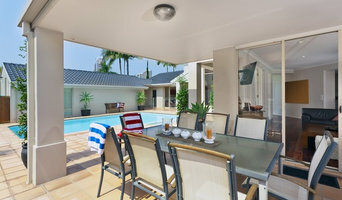 Pro Patios Brisbane is a family business based in Brisbane Australia. The company is specialized in building patios, carports and decks that are amazing and add value to property. It also does extension building and patio renovation to individual homeowners. The business has been in existence for over twenty years. Based on this, the company has enough experience and skills for designing and building patios, decks and carports. The business is fully licensed and holds public liability insurance policy of twenty million US dollars. WHY CHOOSE US? The company boasts of · Strong industry knowledge and understanding having been in the industry for long · Quality workmanship · Enjoys great reputation · Reasonable prices and sound payment plans · Successful completion of previous projects · Delivering promised results · Offers warrantee on all materials used and service · Free consultation on designs measures to Brisbane residents · Free quotations to Brisbane residents · Offers professional advice to its customers · Qualified and professional tradesmen to handle it customers and not pushy sales persons For all your roofing needs including roofing expert advice, please contact Pro Patios Brisbane and you will never be disappointed. We are a Brisbane based, family owned building company specialising in the design and construction of decks and outdoor building. We are fully qualified and licensed professionals with over a decades experience and Customer Service Awards for 2015, 2016 and 2017 from Houzz Australia. We love the outdoors, and living in Queensland means we get to enjoy comfortable temperatures all year round. It’s great to be able to come home after work and enjoy the fresh air and cool afternoon breeze. Suncoast Outdoor Living is a Queensland company that brings your outdoor entertainment and living areas together. For over twenty years we’ve been offering a range of products to add value and enjoyment to your home, while providing weatherproof, bug, pest and debris free outdoor areas for your family and friends. We first started building pool and patio enclosures in 1993 under the name Suncoast Enclosures. Over the years our friendly service and quality enclosures formed a strong reputation and our business grew to include more services designed to help you enjoy the outdoors. Along with our pool enclosures and patio enclosures, we now offer; Patio Designs Suncoast Pool Safe Screens Suncoast Screen Doors Zipscreen Outdoor Shade Blinds Petway Pet Doors Heatstrip Patio Heaters Glass Conservatories Ceiling Fans Gutter Filters And other outdoor living accessories By 2015 it was clear that our products and services had evolved, and while Suncoast Enclosures is what we started with, it no longer covered all that we have to offer. We rebranded ourselves as Suncoast Outdoor Living as this better reflects what we have to offer. We’ve expanded our products and services for your outdoor living. We are still the same people, the same experienced builders, and the same company Queensland has trusted for 23 years. We now offer you more of the outdoors in the comfort of your own home. Our rebrand to Suncoast Outdoor Living coincided with the opening of our new showroom in Woodridge, where we fabricate all our outdoor enclosures. Established back in the year 2002, Pro Carports Brisbane has grown to become one of the biggest patio and carport builders. It is a family run business that has built itself a solid reputation through the Southside and Northside of Brisbane. For more than 10 years now, we have helped numerous young home owners to renovate their property with beautiful additions. When adding an extension to your home, the importance of getting a professional cannot be stressed enough. With us, regardless of whether you are looking for new carports, decking or patios right in your backyard we have available professionals with the required experience at your disposal. We also offer very competitive prices, free quotes and onsite measure, friendly staff and public liability insurance. To take advantage of our free quote and onsite measure from our qualified specialists, call our friendly staff, get to discuss the project at hand and have a professional at your door step at the time of your convenience. JUST PATIOS has been involved in the construction industry since 2002, designing and constructing a wide range of outdoor living areas. During this time we have constructed SIMPLE patios to more COMPLEX full room extensions on both residential and large COMMERCIAL projects. We are a REGISTERED supplier to Q Build (Queensland government) and other various government agencies. Over this period of time we have continued to use QUALITY products backed with 15 YEAR WARRANTIES. We pride ourselves as a company who respects and UNDERSTANDS our customers’ needs from the first contact to our final inspections. We use only LICENSED builders for our installations and have a strict code of conduct to ensure QUALITY workmanship. DECK BUILDERS BRISBANE & SUNSHINE COAST Looking to extend the second story of your house with a BRAND NEW deck? Well look no further. We can CUSTOM design your deck to whatever size you require, fully installed by LICENSED builders giving you peace of mind the jobs done right. Our decks are built from steel framed galvanised C sections, made to last. A RANGE of timber flooring is available along with the very popular Merbau. All decking is screwed to the joists so there are no worries with nails lifting. Also using galvanised powder coated posts gives your deck a STYLISH finish and strength for many years of enjoyment. A range of balustrading & handrails are AVAILABLE for whatever finish you DESIRE – primed pine, hardwood or stainless steel wiring are some examples, and to finish your deck hardwood stair treads & hot gal dipped stringers. So if you want PEACE of mind for your new deck, don’t hesitate to CALL US. With quality workmanship and detail from our licensed builders, you can rest assured your NEW deck is in good hands. Also you can compliment your new deck with a range of patio roofing options. Call now and book our obligation free quote and a PROFESSIONAL sales representative will help you make your dream reality. CUSTOM BUILT DECKS Using a galvanised frame for the columns, joists and bearers, our decks reduce the amount of maintenance required and look stylish. Also the steel framework eliminates the worry of termites and dry rot. We then offer a variety of timber decking and handrails to finish your deck. Garden Envi is a small Brisbane based company that designs and creates specialty outdoor entertainment timber gazebos, pergolas, retreats, garden sheds and cubby houses. Garden Envi is based in Rochedale, QLD, just off the M1 which centrally locates us between close to Brisbane and in between the Sunshine Coast and Gold Coast. We specialize in providing every client with an individually designed products. Each product is designed and measured to fit your entertainment area and provide you exactly what you want. 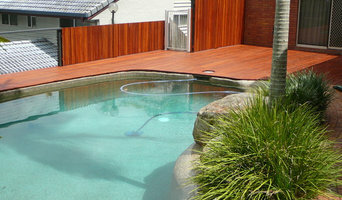 Additions Building are the specialist patio and deck builders in Brisbane. Why? We only build decks, patios, carports and other outdoor features, so your building project is our top priority – not a job to take on the side. No matter how big or small, your job is always our most important job – something a house builder cannot deliver. Whether you are looking for a new patio, a carport, hardwood deck, verandah, pergola, privacy screening, or enclosures, Lifestyle Patios are here to help you! We combine our wealth of engineering expertise with modern architectural thinking to help customers go beyond ordinary and create an imaginatively designed structure of personalised style and liveability matched to each persons home, lifestyle and outdoor environment. Our patios, pergolas and carports are made from premium grade Australian made materials and are engineered to last a lifetime. 6th generation experts in privacy, sun & weather protection solutions. Large range of products: awnings, external venetian blinds, aluminium louvres & shutters, outdoor blinds, opening louvre roofs, fabric retractable roofs & outdoor rooms. Servicing: Brisbane, Sunshine Coast, Gold Coast & Sydney. Official supplier for The Block TV Show. 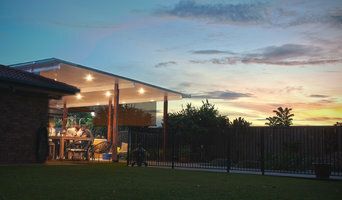 Transform your outdoor living area with Brisbane’s most innovative patio builders! Whether you’re cooking up a storm on the barbeque for family, entertaining friends, or just chilling on the outdoor furniture, an Asset patio is a perfect addition to any home and we guarantee you will want to use it all year round. Constructed with quality BHP steel, with warranties up to 25 years, our patios roofs are durable, long-lasting and made for Queensland’s harshest conditions. And with our premium finishes and a range of modern colours to choose from, adding a versatile yet stylish addition to your home has never been easier. One of our team of highly trained professionals will visit with you in the home, listen to your ideas, and tailor a patio solution that fits your budget and needs and altogether complements your home’s exterior. Whether you want a simple patio, something more extravagant, or a patio completely out of the box, we’ve got you covered! Check out our website for a full list of services and an extensive gallery of patios, decks, room enclosures, carports & more! Some contractors in Wooloowin, Queensland can custom design and build any type of outdoor structure, from decking to pool houses, while others specialise in a certain area. A deck, patio and outdoor structures contractor will typically survey your space and come up with a design that complements your backyard and the exterior of your Wooloowin, Queensland house. Find a Wooloowin, Queensland deck, patio and outdoor structure pro on Houzz. Scroll through this page to professionals in your area that can design, build and supply materials for all types of outdoor structures. You can browse their latest projects, read reviews to see how other homeowners rate their work, and message them directly.